A tribute to our beautiful mares. 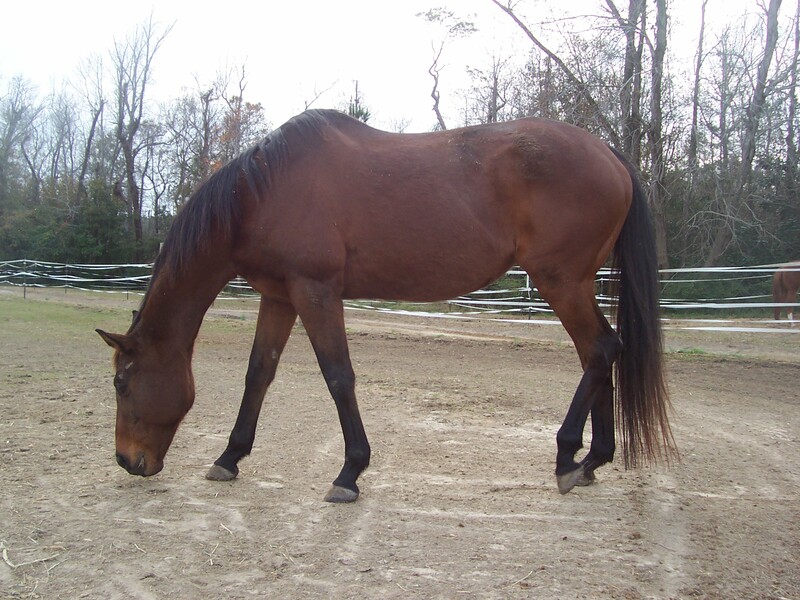 Foxy, the sweetest and most reasonable mare I've ever known.Foxy did 5 yrs. at the track winning allowance races and enough money to keep her track trainer's bills paid.She managed to come back sane and sound at age 7! She's been with me now for 10 yrs. and has been a wonderful surrogate mother to Wild Lily all that time.I couldn't have raised Lily without her help.Her calming influence on Lily has been invaluable.She's always content, never complains and appreciates every little kindness shone to her, whether a pat, a treat or a bath.She does an excited little buck/rear at feeding time we call "the rocking horse" that always makes me smile.Although, it has terrified new employees at times ! Her other game is to chase the muck bucket around the stall while your picking.This has scared many newbies too..lol! Fox doesnt have a mean bone in her body and is completely trustworthy. I can always count on her to help settle the other mares down when things get fired-up or something spooks the herd. Foxys my "rock" and we all love her dearly! Made of Stardust - "Star"
Star was born May 14, 1997 at Harker's Island, NC. Her bloodline has a Kentucky Derby winner and several APHA and Halter Champions. Star is our Alpha mare. You can count on her to keep things in order. However, she'll also stir things up a bit. Usually at quite innappropriate times! To say she is spirited is an understatement !! She came to her current owner as a troubled 5 year old. As a youngster, Star was sensitive and bold and needed to be in the right hands to guide her growing mind and body. Her sensitive and spirited personality was misunderstood for most of her young years. She was labeled as aggressive and unrideable by those who weren't willing to admit that they weren't capable of handling a horse like her. It was no cake walk getting this mare to come around. She trusted no one and did exhibit aggressive behavior in the beginning. She was comparable to that hyper child that never had any guidance or discipline, only punishment (severe at times). But it was pretty clear that she didn't have any intention of hurting anyone on purpose. She was just trying to survive. It took several years of consistent training with this mare to undo the damage done by her inexperienced owners during her impressionable young life. You can now let a 3 year old in her stall without worry...or "plop" them up on her back in the pasture! On occasion, you'll see Star sporting glitter make-up that her own little girl likes her to wear. She has always had a soft spot in her heart for little girls. We believe that Star is here to teach people about self-esteem, trust, confidence, and standing up for yourself. 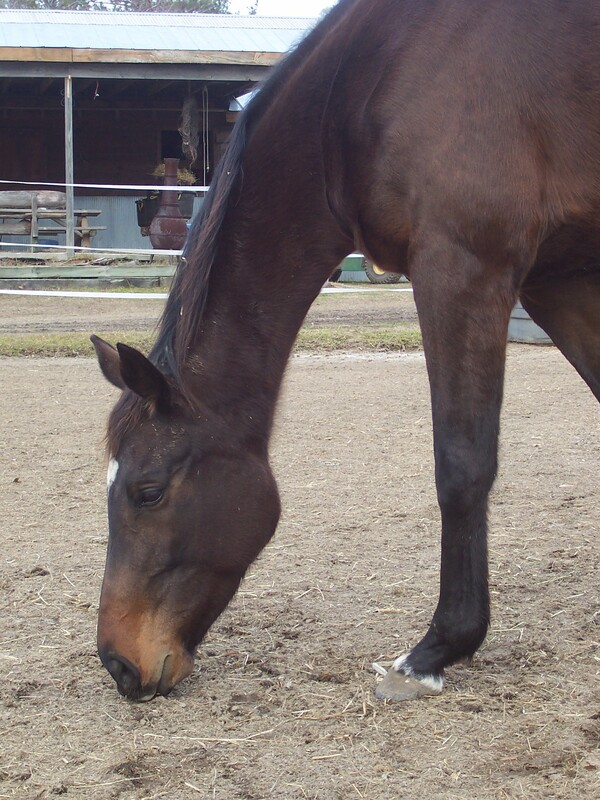 If you try to handle this mare and you are lacking in any of these areas, she will quickly point that out to you!! She is a strong, brave, loving and loyal mare. Her owner feels blessed to be chosen to be in the life of this beautiful creature. Tell Wild Lily - "Lily"